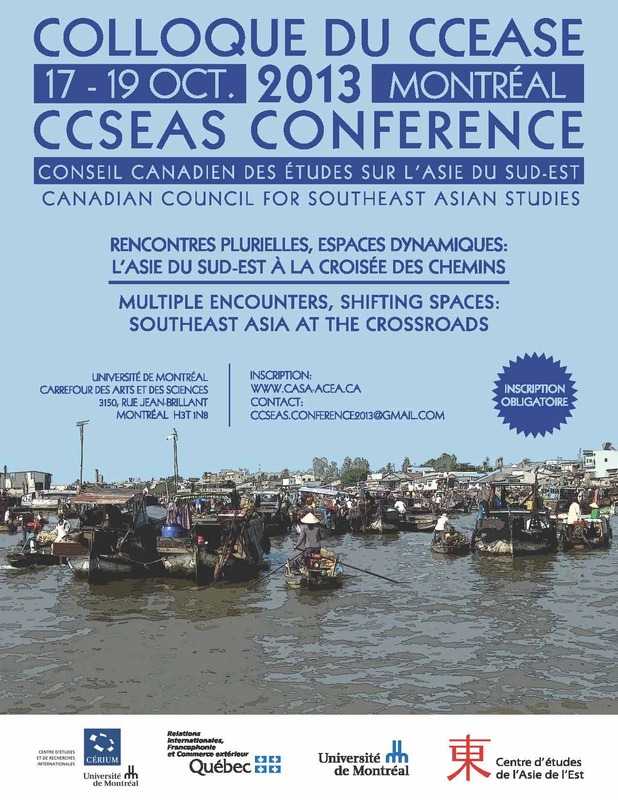 Canadian Council for Southeast Asian Studies (CCSEAS) is an association of scholars, students, policymakers and activists with an interest in the academic study of Southeast Asia and its connections to the rest of the world. CCSEAS Newsletters are published twice a year and edited by its graduate student editorial team based in Vancouver, Toronto and Montreal. We welcome your submissions and questions. Get in touch with us at newsletter@ccseas.ca. Our 33rd biennial CCSEAS conference, scheduled for 27-28 October 2017, is approaching. Only recently did I realize that the CCSEAS conference started in 1971. The year 2017 is certainly not 1971 turned around nor is it just another year. It has just started, but it has already made us reflect on and raise questions about knowledge and power. In Canada’s neighbour, the United States, Donald Trump, ordered a travel ban as soon as he became President. In protest, hundreds of Canadian academics joined the world by signing a petition to pledge not to attend conferences held in the U.S. This action raises a larger question of how much influence the academic world has to shape a nation-state’s perspective of the world. Closer to home, Prime Minister Justin Trudeau has celebrated the fortieth anniversary of Canada’s status as a Dialogue Partner of the Association of Southeast Asian Nations (ASEAN) by encouraging “all Canadians to reflect on the tremendous contributions made by Southeast Asian Canadians to our country.” Trudeau also pointed out that the two-way merchandise trade between Canada and ASEAN countries in 2015 alone amounted to over C$21 billion. It is clear that the future of Canada-ASEAN relations is increasingly understood to be the future of Southeast Asian Canadians. This makes us pause and ask how relevant our area studies is today for over one million Southeast Asians living in Canada. Has Canada’s strong economic links to ASEAN been translated into supporting Southeast Asian studies in Canada in order to better understand the links in and through the region’s “local knowledge”? Meanwhile in Toronto, just barely a month after the different global affair statements from Washington and Ottawa, the Association for Asian Studies (AAS) held its annual conference. It was very well attended (as usual), which justifies the claim that the conference is the largest gathering of scholars working on Asia and the diaspora. The AAS conference is also undeniably one of the most important venues for scholars working on the region to meet and discuss issues with an Asian studies spirit of comparison and interdisciplinarity. Yet, could holding the AAS conference in Toronto suggest that Canada is a regional affiliate of the AAS? There was an attempt (in 1968? ), perhaps inspired by the AAS, to create CASA (Canadian Asian Studies Association) which was organized around three different councils with each representing East Asia, South Asia and Southeast Asia. For some years CASA organized a series of Asian-wide conferences in Canada. A history to account for such efforts is important and yet to be written (See Rudolphe de Konick, CCSEAS Newsletter, Spring 2013: 14-17). Today, the only Council that has managed to stay active from the CASA umbrella is the Canadian Council for Southeast Asian Studies (CCSEAS), which holds conferences since 1971. The first university that hosted CCSEAS conference was the University of Guelph (See the chart below). The arrows of time, however, travel through different paths. The AAS, strongly supported by various funding sources, has “professionalized” its organization with a secretariat to organize its annual conferences in superstar hotels in major cities. The CCSEAS conferences, on the other hand, continue to use the university as its venue. It relies largely on voluntary efforts of students, faculty members and staff. A sense of community, self-reliance and mutual support has nevertheless grown, along with the enthusiastic struggle to maintain continuity and participation. Students continue to be at the centre of CCSEAS. Their presence in the conferences is always dominant and serious. Students have also taken on the responsibility of compiling the newsletters and in the process, they shape the scholarship of Southeast Asian studies in Canada. While we value CCSEAS’ self-resilience, especially the dedication of its students, we are disheartened to see how funding sources over the years have moved from limited to unavailable in supporting the operation of CCSEAS and students’ participation in the conference. We hope that the Canadian government will see the importance of cultivating a young generation of Asian studies scholars and provide continuous support for CCSEAS conferences and other related activities. At this moment, CCSEAS is the only vessel to nurture the Canadian network of Asian studies. It thus seeks to raise profile of Asian scholarship in Canada by including “Inter-Asia” and “Asian-Canadian” studies in its conferences. This newsletter represents such an intention. It features not only works on Southeast Asia, but also reports that are inter-Asia or intra-Asia. It also encourages interests in trans-pacific migrant communities in Canada. Southeast Asia is no longer “out there,” but it is within Canada. We are also encountering a new generation of scholars who are working with (instead of working on) Asia. This year’s CCSEAS conference, which will be held on October 27 and 28 at York University, will continue to represent the trend of Southeast Asian studies, but it also hopes to express the interests of those working in areas beyond the region so that the conference will be more comparative, inter-Asia, and trans-pacific. Considering the age of CCSEAS, we also feel that it is urgent to collect memories of this organization to build an “institutional” history. CCSEAS newsletters will continue to feature “CCSEAS in time” from those who wish to share their experiences as scholars and members of the (trans)national social order within which they are embedded. We believe that their recollections are valuable sources for the new generation of scholars trained in Canada to know where they are coming from. Finally, on behalf of our current CCSEAS Executive Committee, I want to thank the student team led by Kilim Park (University of British Columbia) and including Irene Poetranto (University of Toronto), Jean-François Rancourt (Université de Montréal), and Nhu Truong (McGill University), for their work on the 2017 CCSEAS Newsletter. Special thanks also goes to Dominique Caouette (CASA’s Acting President) and Melissa Marschke (CCSEAS President, 2013-2015) for their exemplary work for the Association and for their continuing encouragement and support. Finally, I thank the York Centre for Asia Research (YCAR), Alex Felipe for the CCSEAS poster and especially Alicia Filipowich for her great assistance. Almost four years passed since the biennial CCSEAS conference that took place at the Université de Montréal on October 17-19, 2013. This 31st edition offered a wide overview of Southeast Asian studies and was an opportunity to welcome colleagues and students not only from Canada but also from Southeast Asia, the US and Europe. The conference was a great opportunity to discover and hear from a new generation of scholars. This encounter of generations sharing the same passion for the region was a recurring feature over the three days. First, a student workshop brought together a new cohort of graduating and newly graduate students to present their research. Masterfully orchestrated by two post-doctoral fellows, Gabriel Fauveaud and Jean-François Bissonnette, the meeting began with an address by Dr. Jérémy Jammes, assistant director at the Research Institute on Contemporary Southeast Asia (IRASEC), followed by two panels consisting of a total of 10 papers. Those revealed how dynamic and promising this new generation of scholars is. Another testimony of these inter-generational encounters was the two keynote speakers, the late professor Benedict “Ben” Anderson and our colleague Saturnino Borras Jr. Each offered his own original and incisive views on the region: the former by examining the reasons for the resilience and persistence of monarchies in the region, and the latter by locating and outlining the peculiar dimensions of the global land-grabbing rush in Southeast Asia. Then, during the conference itself, 29 panels and three roundtables that featured over a hundred papers revealed once again how rich and wide-ranging are the questioning and debates that drive Southeast Asian studies. Finally, it is worth remembering the exceptional and vibrant performance of the gamelan Giri Kedaton of the Université de Montréal, under the musical direction of the balinese maestro I Dewa Made Suparta and the artistic direction of our collegues Éric Vandal and Nino Gabrielli. As for other CCSEAS biennial meetings, such an event would not have been possible without the support of several organizations: the Centre d’études et de recherches internationales (CERIUM) at the Université de Montréal, the Ministry of International Relations, the Francophonie and External Trade, the Faculty of Arts and Sciences, the Research Vice-Rectorate, the Carrefour des Arts et des Sciences and the East Asian Studies Centre at the Université de Montréal. This support, and the time and energy invested by a whole plethora of volunteers and assistants were pivotal in ensuring the success of the conference. The CCSEAS adventure moved on to the University of Ottawa in the fall of 2015 and will soon resume at York University in October. Près de quatre années se sont écoulés depuis la tenue à l’Université de Montréal du colloque biennal du CCEASE, qui eut lieu du 17 au 19 octobre 2013. Cette 31ième édition avait permis de présenter un vaste tour d’horizon des études de l’Asie du Sud-Est au Canada, avec une portée élargie par la présence de collègues et d’étudiant(e)s originaires de l’Asie du Sud-Est, des États-Unis et d’Europe. Ce colloque a aussi été l’occasion de découvrir une nouvelle génération de chercheurs et de chercheuses en pleine émergence. La rencontre entre différentes générations de passionné(e)s de la région a été présente tout au long de ces trois jours. Tout d’abord, un pré-colloque destiné aux étudiant(e)s en fin de baccalauréat ou en tout début de maîtrise a rassemblé une nouvelle cohorte et lui a permis de présenter ses travaux. Mené avec mains de maître par deux chercheurs post-doctorauxs, Gabriel Fauveaud et Jean-François Bissonnette, ce pré-colloque s’est ouvert avec la conférence du directeur adjoint de l’Institut de recherche sur l’Asie du Sud-Est contemporaine (IRASEC), Dr. Jérémy Jammes. Puis, deux panels rassemblant au total dix étudiant(e)s ont démontré la richesse des recherches et le dynamisme de ces spécialistes en herbe. Autre facette de ces regards croisés et intergénérationnels, nos deux conférenciers invités, le regretté professeur Benedict « Ben » Anderson et notre collègue Saturnino M. Borras Jr ont tour à tout offert un regard original et incisif sur la région. Le premier en se questionnant sur les raisons de la persistance et la résilience de régimes monarchiques dans la région, alors qu’ailleurs ceux-ci semblent de plus en plus anachroniques, et le second en s’interrogeant sur les manifestations en Asie du Sud-Est d’un phénomène mondial contemporain, soit les processus d’accaparement massif de terres et des ressources naturelles. Par la suite, 29 panels et trois tables rondes se sont succédés avec plus d’une centaine de communications. Celles-ci démontraient une fois encore la richesse des questionnements et des débats qui marquent les études du Sud-est asiatique. Enfin, il importe de rappeler la performance dynamique et originale de l’ensemble de gamelan Giri Kedaton de l’Université de Montréal, sous la direction musicale du maestro balinais I Dewa Made Suparta et la direction artistique de collègues, Éric Vandal et Nino Gabrielli. Comme pour les congrès antérieurs, un tel évènement n’aurait été possible sans l’appui financier et logistique de plusieurs organisations: le Centre d’études et de recherches internationales de l’Université de Montréal (CÉRIUM), le Ministère des Relations internationales, de la Francophonie et du Commerce extérieur, la Faculté des Arts et des Sciences, le Vice-rectorat à la recherche, le Carrefour des Arts et des Sciences et le Centre d’études de l’Asie de l’Est de l’Université de Montréal. Ces appuis ont été essentiels à la réussite du colloque biennal de 2013. L’aventure allait se poursuivre à Ottawa à l’automne 2015 et bientôt à l’Université York en octobre. Mr. Udin, the neighbourhood Tukang Sayur (Vegetable Vendor). Photo by Tammara Soma. Vendor: What are you planning to cook today? Mother: Hmm I’m thinking spinach soup. Do you have anything good? Vendor: This is really fresh, it’s 5000 Rupiah for this bunch. Mother: Ok, I’ll just get two. How about this corn, is it sweet? Vendor: Yes, how about you pair it with this tempeh. It’s a good combination. Mother: Nah, I had tempeh yesterday. I’ll just grab a small bag of the potatoes. I’m going to make perkedel kentang (potato croquets). Can you bring me a nice cut of beef tomorrow, all cleaned and cut? I want to make semur (beef stew). Vendor: Sure. See you tomorrow! Mobile fishmonger with local fish weighing a purchase. Photo by Tammara Soma. This interaction is probably alien to most supermarket shoppers in the West. The back and forth banter and the fact that the vendors make suggestions on menus and what’s fresh and in season is a common part of daily food provisioning practice in Indonesia. But how are mobile vegetable vendors connected to food waste? J: If they don’t get used before a new bag comes in they will go. J: bad but they go when the new ones come in. J: well they didn’t get used and I am definitely not going to use them if there is a newer pack that I could, um, need to use before that starts getting old. While there is an established area of studies researching consumer behaviour and food waste (Stefan et al., 2012; Evans, 2011; Parizeau et al., 2015), and research on infrastructures to manage food waste (see research on food waste bins by Metcalfe et al., 2012), there is a lack of study on infrastructures of food provisioning that can support consumers in preventing and reducing household food waste.This is where a comparison of shopping practices at different food provisioning infrastructures is particularly important. The terminology used in Indonesia for “shopping when you are hungry” is called “Lapar Mata” (literally “Hungry Eyes” or Shopping with your eyes). This is premised on the idea that without sticking to a list, consumers are often tempted to buy more than what they need. Consumers are tempted as Stuart (2009) argue, by an endless array of food as well as deals such as the ubiquitous “buy one get one free” offers. While food waste studies and policies have recognized the role of supermarkets in food waste prevention and reduction, there are a limited number of food infrastructure options in the West. In Indonesia, and many other developing countries, small-scale vendors like Udin prevent the type of shopping of the Lapar Mata category. In fact, it is common for households to tailor their menu for the day depending on the seasonal products that Udin will bring. The role played by small to medium-scale food vendors in preventing overconsumption is important. Firstly, the variety of goods that can be carried by these vendors in their wooden cart or motorcycles are limited. This labour intensive job requires a large labour pool to cover entire swaths of neighbourhoods and increases job opportunities. In addition, because the vendors come everyday with new foods, there is no need to stock up on fresh produce. The mobile vegetable vendors also purchase their foods from the traditional wetmarket, which is generally local and seasonal. Therefore, not only do these small-scale infrastructures help households prevent food waste, it also supports a more localized short distance food economy. In general, shopping from vegetable vendors also leads to eating more fresh and whole foods rather than processed foods. Unlike supermarkets, lack of refrigeration and a small cart/motorcycle means that vendors do not themselves stock lots of food, and they also do not sell processed foods with the exception of tofu and tempeh (although occasionally meatballs and sausages). Increasingly, these vendors are also barred from elite housing complexes as the housing enclaves are usually located near major hypermarkets and the vendors are seen as a “nuisance” and competition. As an urban planner focusing on the issue of household food waste, my study will investigate the planners’ role in developing planning policies that will ensure the long term support for these necessary small-scale food infrastructures. Note: *a multinational hypermarket chain. Evans, D. (2011). Blaming the consumer-once again: the social and material contexts of everyday food waste practices in some English households. Critical Public Health 21: 429-440. Parfitt, J, Barthel, M, and Macnaughton, S.( 2010). “Food Waste Within Food Supply Chains: Quantification and Potential for Change to 2050.” Philosophical Transactions of the Royal Society B: Biological Sciences 365 (1554): 3065–81. doi:10.1098/rstb.2010.0126. Stuart, T. (2009). Waste: Uncovering the global food scandal. Norton & Company: New York. Stefan, V., van Herpen, E., Tudoran, AA., & Lähteenmäki, L. (2013) Avoiding food waste by Romanian consumers: the importance of planning and shopping routines. Food Quality and Preference, 28:375-381. Metcalfe, A., Riley, M., Barr, S., Tudor, T., Robinson, G., and Guilbert, S. 2012. Food waste bins: bridging infrastructures and practices, The Sociological Review, 60(2): 135-155. Tammara Soma is a PhD candidate in Food Systems at the University of Toronto. How Effective are International Development Agencies in the Protection, Conservation and Presentation of Cambodian Heritage Places? A boy at the Angkorean park. Photo by Sarah Youngblutt. Inscribed on the World Heritage List in 1992, the spectacular Khmer monuments at Angkor Wat have met the UNESCO (United Nations Educational, Scientific and Cultural Organization) benchmark of possessing Outstanding Universal Value. In 2008, a second World Heritage Site was introduced into the country, the northern site of Preah Vihear. International support to protect and conserve these two Cambodian properties is given to Cambodia through UNESCO and other development agencies. Most tourists today are aware that Cambodia is one of the poorest countries in Southeast Asia, with a fragile economy wholly dependent upon foreign aid. As a consequence, both public and private spheres of society are affected by the presence of foreign aid agencies. The temples of Angkor receive support for their management, maintenance and conservation from a number of such bodies. The ICC-Angkor 2015 report reveals that, since 1993, more than 36 countries, 12 intergovernmental groups and 38 international teams have contributed millions of dollars to conservation, restoration, research and sustainable development projects. It is no surprise that Angkorean heritage has become a million dollar industry. However, a concern is that increasingly high foreign and national investment into the Angkor World Heritage Site has come to disregard initial conservation plans for the temples. Indeed, a cycle of state dependency upon tourism for the Angkor sites has developed, placing higher demands for foreign aid to conserve the sites, to develop the tourism sector, to rectify damage to the sites from tourism and to continue excavations of Angkor sites to stimulate future off-the-beaten-track tourism. Contrasted to the active conservation landscape of Angkor, the border site of Preah Vihear has endured a decade of Thai-Cambodian political conflict, within and around the site, initiated by its UNESCO inscription. In 2014, six years following its inscription, the country successfully delegated a coordinating committee for it’s protection; designated the ICC-Preah Vihear, today this body is co-chaired by China and India. Despite UNESCO funding over 100,000 USD into the site, this second World Heritage site stands within a tense and fragile geopolitical landscape, complicated by transnational investment, natural resource expolitation and the forced displacement of indigenous communities. Despite the combination of governmental and non-governmental efforts to combat illegal trafficking of Khmer artifacts across the country, the smuggling of antiquities into Thailand is at an all time high. In consideration of the national dimension of the problem, international aid agencies face real challenges in the recommendation of policies to protect Cambodian heritage. Before matters will improve, an analysis of stakeholders must be undertaken. Escalating threats to the security of Angkorean heritage include, but are not limited to: the instability of the subsoil beneath the temples, unregulated draining of the groundwater surrounding Angkor to accommodate tourist hotels, vegetative growth and past damage to the sites from archaeological teams. Another danger is organized looting, which often involves local authories; such immediate these threats to site protection will need to be resolved if Angkor is to be passed on to the next generation. The management of large archaeological complexes requires specific attention towards upper level bureaucracies, issues of governance, policy and legal frameworks. The interplay between local and global values can be seen in how sites are conserved and presented. In consideration of monumental architecture, the conservation of large Angkorean temples has yet to be standardized, permitting countries from around the world to conduct conservation methods, as they like. With a closer consideration of conservation approaches, Monroe (1998) highlights the obvious for the monuments of Angkor: “Angkor is in grave danger of becoming a Disneyland of different countries’ ideas of what it should look like.” Critics of a “Disneyland Model,” invite new policies to standardize archaeological conservation and research, but also to resist private enterprise developments onto archaeological grounds, which include hotels, casinos and theme parks constructed to foster tourism. Cambodia continues to function as a reserve in which identities and careers are defined for academics and development groups from around the world. In consideration of archaeologists alone, today they come from countries as widespread as France, Japan, Italy, the USA, Belgium, India, Indonesia, New Zealand, Australia, Canada, Germany, Hungary, Korea, China, Laos, Czech Republic and Russia to work in the excavation and conservation of Khmer archaeological sites. Their research activity is authorized and managed under a complex hierarchy of institutions, which serve universities, nation-states and private investors from around the world. From their construction in the twelfth century, the monolithic temples of Angkor were incorporated into Khmer social and political life. Today the image of Angkor is Cambodia’s national icon; the three towers of Angkor Wat are centered on the country’s flag and imprinted on national currency. The revered Angkor complex has been conflated with the definition of Cambodian identity, and is representative of the country’s continued autonomy from historical pressures of Vietnamese and Thai invasion. With dozens of foreign teams working in the country, is the value and meaning of these sites presented in accordance with how Cambodians view their sacred sites? With adherence to the mandate and articles presented in the 1972 World Heritage Convention, my work analyzes the extent to which Article 5(e), a policy established to foster national capacity building, has been satisfied in the country of Cambodia. This important research will contribute to a better understanding of the effectiveness of international capacity-building strategies and may contribute to a growing literature in critical heritage studies on indigenous access to heritage. Sarah Youngblutt is a PhD Candidate in Asian Studies at Leiden University. There’s always a whole slew of changes I notice every time I come back to the city-state. Additional train stations, whole new highways, condominiums where you’d never imagine there could be, modern glass buildings popping up seemingly overnight in once drab concrete neighbourhoods. And of course it wouldn’t be Singapore if there wasn’t a new law or two introduced every year to spoil the fun. For example, at the time of this visit, public drinking past 10:30pm had just been banned and the legal age for smoking was about to be raised to 21. One thing about Singapore that never changes, however, is that it’s hot, and humid. A common experience shared by many a returning Singaporean is the feeling of the punch of that first gust of thick, hot air which greets you instantly as the sliding doors of the famed Changi airport open to its oppressively dark and stuffy taxi bay. Leaving behind the cool, air-conditioned airport and the presumably reasonable temperate weather of the country you travelled from, you are swiftly given a wake-up call as to where you have returned and what to expect. Welcome back to Singapore. Please note the heavy penalties for drug trafficking, but probably of more relevance to you, please remember that it’s hot here. Why are you still wearing that jacket? Don’t step leh (Singlish for “Don’t pretend to be something or someone you are not”). I’m in Singapore to conduct interviews with government officials, members of NGOs, and private business actors for my Master’s thesis which explores the city-state’s migration policies and the issues surrounding the treatment of labour migrants to the country. I’m also in Singapore to attend the wedding of my best friend, Shafiq, and so my month-long trip is a relatively bizarre mix of travelling to interviews, transcribing interviews, and running errands with Shafiq and his family for the wedding. While on one of these errands, we decide to take a taxi and Shafiq’s elderly mother asks me about life in Canada, and how it feels to be back in Singapore. A lot has changed, I say, and I give a vague answer on how things feel different from how I remember the country since I left it six years ago. “Ya, that’s why, a lot has changed you know. Just look at the number of shopping centres everywhere now,” Shafiq’s mother replied in fluid Malay-accented, Singaporean English. “Aiyah, government wanna do what just let them do lah, Mak,” came Shafiq’s dismissive, and in many ways, typically Singaporean interjection. Shafiq’s mother was right though. Shopping centres or malls are by no means new to Singapore, and a walk down shopping centre-filled Orchard Road, as any tourist to the country would be obliged to do, would clearly show this. But while the international brand names and globally ubiquitous food outlets were once only found in central parts of Singapore, or in the outer “satellite” neighbourhoods of Tampines or Pasir Ris, now it seems every neighbourhood in Singapore has a Mass Rapid Train (MRT) train station, a bus interchange, and a shopping mall. Take Bedok, where Shafiq and his family live, for example. Until three or four years ago, Bedok was a typical Singaporean neighbourhood as imagined by the country’s 1980s-era city planners. Comprised largely of matured public housing estates, Bedok’s amenities were almost as functional as the appearance of its concrete, ice-cream coloured, spartanly-designed public housing blocks. Apart from the local wet market, supermarket, and the collection of local shops to buy miscellaneous necessities, there was also the food centre (or hawker centre) near the bus interchange, a number of small locally-run eating establishments, and one, maybe, two McDonald’s branches. Walking through Bedok’s shopping mall, however, immediately smashes any preconceptions about the Spartan-ness of this neighbourhood. Residents in Bedok are now able to shop from a variety of clothing stores, chain retail shops, and most significantly, an increased number of Western food outlets and retail stores. There is now a Chili’s restaurant in Bedok! I struggle to even remember whether I have seen a Chili’s in Montreal. And yet, the most remarkable aspect of Bedok’s mall is how bustling and crowded it is at lunch on a weekday. This is by no means your typical suburban North American strip mall, spread out and sparsely peopled. This is commerce and food, densely packed in six floors and filled with cackling students just let off after school, hurried workers on lunch break, elderly residents taking in the sights of the mall and all sorts of unclassifiable individuals who are at the very least free-riding on the mall’ s air-conditioning. When my thoughts were not dominated by my thesis research questions on migration policies and politics, I found myself wondering how this sudden appearance of shopping centres took place. Does Bedok need a shopping centre? Why did the government decide to build these shopping centres across a number of neighbourhoods seemingly all at once? Is this rapid commercialization and penetration of foreign food and retail chains harmful for local neighbourhoods in the long run? Is the Chili’s at Bedok Mall any good? As I’m leaving Singapore, I share my observations and thoughts with my friends as they come to say goodbye at the airport. A friend quickly points out that there are plans to build three new buildings at Changi Airport, of which two are new terminals, and one a shopping centre. As I pile my luggage onto a cart and walk into the airport, a burst of cool air hits my face from the terminal’s air-conditioned, immaculate interior. Maybe that’s why Bedok needs a shopping centre. Zachariah Su is a Master’s student at McGill University. Marquant le virage vers la modernité urbaine promue par l’État, on voit apparaître au Vietnam depuis quelques décennies un nombre croissant de formes bâties verticales, de gigantesques infrastructures routières et de grands complexes commerciaux. Ils surgissent en plein cœur de la ville, en bordure d’un village traditionnel ou même au beau milieu de terres agricoles. Dans la foulée de cette urbanisation rapide, l’habitat vietnamien connaît d’importantes mutations. Plus particulièrement, les nouveaux habitats qui se développent en hauteur appellent de nouvelles manières d’encadrer l’urbanité et de gouverner l’urbain. Dans ce contexte, le mode gestion des immeubles dans les grandes villes vietnamiennes a fait l’objet d’expériences et d’innovations au cours des dernières années, se traduisant notamment par l’émergence d’un modèle endogène de gestion coopérative d’habitations. En développement depuis 10 ans à peine, ce modèle est né de l’initiative d’un groupe de citoyens relocalisés dans un immeuble d’habitations à Hanoï. Malgré son caractère innovant, il demeure peu connu des chercheurs, même à Hanoï. S’appuyant sur les données tirées d’entrevues semi-dirigées menées avec 27 acteurs concernés par ce modèle de gestion, cette recherche visait donc à retracer l’historique de ce phénomène et à comprendre sa forme actuelle afin d’en tirer des apprentissages pouvant contribuer à améliorer la gestion de l’habitat au Vietnam. L’émergence du modèle de gestion coopérative au Vietnam remonte à 2006. Tout débute dans l’immeuble 17T-10, une tour d’habitations construite pour relocaliser les résidents du secteur Ngã Tư Sở, au sud-ouest d’Hanoï, évacué pour accueillir un élargissement de route et un nouveau pont. Des problèmes singulièrement importants font rapidement leur apparition avec l’agence étatique gérant l’immeuble 17T-10 : absence de salle communautaire pour les activités sociales des résidents, ascenseurs constamment brisés et inutilisables, coupures fréquentes en eau et électricité, frais de gestion en constante augmentation, etc. Issu d’une communauté très unie, les citoyens relocalisés s’organisent et entreprennent de se réapproprier les espaces communs de l’immeuble, de gérer différemment l’approvisionnement des services et de mettre sur pied la réorganisation économique de l’immeuble de manière à en faire bénéficier ses habitants. Ils forment un comité d’autogestion sous le leadership d’un résident disposant de connexions et de connaissances essentielles pour faire avancer leur cause. Le gouvernement vietnamien tente de bloquer leur initiative, mais le comité trouve appui et protection politique auprès de la Suède, qui subventionne à l’époque de nombreux programmes à l’international. Dans les mois qui suivent, la lutte des résidents du 17T-10 pour parvenir à l’autogestion s’intensifie, sans toutefois jamais faire usage de méthodes illégales (par exemple des manifestations non autorisées ou des actes de violence). En 2008, le comité s’enregistre finalement comme une véritable entreprise de gestion sous l’appellation « Hợp tác xã Nhà ở Thụy Điển », que l’on peut approximativement traduire par « Coopérative d’habitation suédoise » (CHS). La CHS s’investit d’une mission sociale, politique et économique qui va bien au-delà de la gestion des services d’entretien pour laquelle elle a initialement été formée et modifie considérablement les conditions de vie des résidents. Par la réappropriation des espaces communs et résiduels de l’immeuble, la CHS adapte l’habitat aux besoins sociaux et économiques de sa population, générant pour les résidents des opportunités d’emploi, des services de proximité et des lieux de rencontre communautaires. La réinsertion des résidents dans leur nouveau milieu en est facilitée et une configuration mieux adaptée se développe pour de nouveaux immeubles résidentiels. Par l’autogestion, la CHS optimise ses ressources humaines et financières pour offrir de meilleurs services à moindre coût, en redistribuant de surcroît tous les surplus générés parmi ses membres. Les conditions de vie des résidents s’en trouvent améliorées. Par l’adoption de mécanismes transparents et démocratiques, la CHS accorde aux résidents un pouvoir de décision sur leur environnement et les implique directement dans la gouvernance de l’immeuble. Le projet se voit reconnu à l’international par l’octroi d’un prix de la Banque mondiale en 2011. L’initiative d’autogestion de la CHS suscite alors l’intérêt des autorités politiques vietnamiennes, qui sollicitent même l’aide du comité pour réformer la Loi sur le logement en 2014. La reconnaissance internationale et nationale dont la CHS bénéficie à compter de 2011 permet ainsi sa formalisation et la diffusion de son modèle de gestion non seulement auprès des élites politiques, mais aussi auprès du reste de la population vietnamienne. Voyant l’impact positif de l’autogestion sur la communauté du 17T-10, des résidents d’autres immeubles sollicitent l’aide de la CHS pour reproduire leur modèle de gestion. Aujourd’hui, une centaine d’immeubles de typologies et de clientèles variées sont gérés de manière coopérative par la CHS à Hanoï. L’initiative d’un petit groupe de résidents s’est ainsi transformée en une véritable entreprise sociale œuvrant à l’échelle de la ville. L’application du modèle de gestion coopérative dans d’autres immeubles à Hanoï semble respecter la mission fondatrice de la CHS. De nouvelles méthodes d’autofinancement et des exemples intéressants de réaménagement de l’espace sont observés dans certains immeubles. Toutefois, des nuances apparaissent sur le plan des efforts des gestionnaires pour stimuler la participation des résidents aux rencontres et aux prises de décisions, pour générer des opportunités d’emplois à même l’immeuble, et pour créer des initiatives d’autofinancement de manière à réduire considérablement les frais de service chargés aux résidents. Au final, l’expérience d’autogestion de l’immeuble 17T-10 exprime la résilience, la persévérance, la volonté d’autodétermination et le pouvoir d’autonomisation d’une population. Néanmoins, la diffusion de cette expérience dans des habitats et des contextes différents fait ressortir les défis que pose la formalisation d’une méthode de gestion basée sur la connaissance des besoins de la communauté qu’elle tente de servir, et la volonté de cette dernière de contribuer au projet d’autogestion. Cela dit, le potentiel du modèle de gestion coopérative d’habitations est considérable pour un pays en pleine transformation tel que le Vietnam, et il mérite que les professionnels et chercheurs de l’aménagement, mais aussi ceux du domaine politique, économique et social, s’y intéressent plus sérieusement. Valérie Fortin est candidate à la maîtrise en urbanisme à l’Université de Montréal. Fondée en 2014 à Hanoi, inspirée par une activiste américaine, l’organisation non gouvernementale vietnamienne Think Playgrounds s’est engagée à construire des terrains de jeu pour les enfants du Vietnam selon une approche d’urbanisme Do It Yourself. Construits à partir de ressources financières et humaines très limitées, ces terrains de jeu sont faits de matériaux recyclés et assemblés principalement par des bénévoles. À ce jour, Think Playgrounds a construit près de cinquante terrains de jeu au Vietnam, dont trente-trois dans la capitale. Ce cas d’étude s’est construit autour de dix entretiens semi-dirigés menés à l’été 2016. Les répondants sont des fondateurs de l’organisation, des membres de la société civile collaborant avec Think Playgrounds et des employés de l’administration municipale. Par une méthode inductive, le caractère unique et nouveau de l’urbanisme DIY dans le paysage des politiques urbaines du Vietnam fut mis à jour. Les entretiens et la littérature ont révélé qu’à Hanoi, l’urbanisme DIY fait le lien entre deux zones d’interactions politiques bien établies, aux caractéristiques sociales connues et documentées, mais n’entretenant habituellement pas de lien. D’une part, les zones de négociations coutumières permettent de légères transgressions légales. Elles sont ces moments d’appropriation quotidienne de l’espace. Cette zone comprend les relations entre les groupes de résidents, le leader de communauté qu’ils choisissent et l’administration du quartier dans lequel ils résident. Ce niveau de gouvernement observe régulièrement des pratiques informelles dans l’espace public, ce qui mène à une tolérance d’usages alternatifs. Ces usages demeurent toutefois mobiles et sont facilement supprimés (Koh, 2006; Kurfüst, 2011). Les décisions politiques d’aménagement, d’autre part, se prennent à des niveaux plus élevés des gouvernements urbains. Ce sont ces paliers qui peuvent concrètement transformer l’environnement urbain. Cette zone de commande et contrôle tolère les organisations de la société civile fournissant des services sociaux, du moment qu’elles respectent le cadre politique qu’impose l’État-parti (Kurfüst, 2011). La méthode de faire la ville selon Think Playgrounds amène des pratiques informelles des citoyens de la zone de négociations quotidiennes dans le milieu organisationnel de la zone de commande et contrôle. Ainsi, un nouveau moment de l’urbanité à Hanoi émerge qui a le potentiel de contribuer à définir la ville selon une perspective très communautaire tout en ayant une relation directe avec les décideurs politiques. Le discours du droit de jouer fut essentiel à cette prise de position et à la croissance de Think Playgrounds. Il permit la multiplication des projets dans l’espace public et à la création d’un réseau avec la société civile et l’administration municipale. La revendication du droit de jouer peut s’appuyer sur une Convention des Nations Unies et sur une littérature qui reconnaît une valeur essentielle au jeu, le qualifiant même de travail des enfants (Bond et Peck, 1993 : 733). Il s’agit alors non pas d’un passe-temps, mais bien d’une activité productive en soi qui nécessite des investissements de la part des adultes afin de la rendre possible (Ridgers et al., 2007). William Arnold Corsaro (1998: 378-380) explique que la socialisation des enfants hors du contexte de la famille nucléaire passe fondamentalement par le jeu. Malone argumente en faveur de « child-friendly cities […] places where children and youth can socialise, observe and learn about how society functions and how they can contribute to the cultural fabric of their community » (Malone, 2001: 11). C’est dans cette perspective d’inclusivité et de développement personnel et social que les projets de Think Playgrounds viennent s’inscrire. Véritablement, l’acceptation politique de ce discours permet d’avancer les idées plus subversives de l’organisation. Les projets mettent en lumière, de façon implicite et indirecte mais néanmoins consciente, l’inefficacité et la distance de l’aménagement formel face aux réalités contemporaines de la ville et de ses citoyens. Les projets menés par Think Playground prouvent, l’un après l’autre, que de nombreux projets municipaux ont ignoré ou écarté les communautés de réception et qu’il faut ramener les expériences de celles-ci au cœur de la planification. Les fondateurs de l’organisation sont tout à fait conscients de cet effet. Au bout de trois ans de croissance constante de l’organisation, le réseau des parties prenantes est désormais complexe et vaste. Ce qui devient évident est l’emprise que tous ces éléments ont dans la politique urbaine. Tous les acteurs ne sont pas des décideurs politiques, mais ils ont tous une influence plus ou moins grande sur leur environnement. Ce réseau témoigne aussi du caractère incontournable de Think Playgrounds. Cette présence, pour quiconque s’intéresse à l’aménagement à Hanoi, en fait une organisation de référence. Ce réseau sera sûrement amené à croître et à se diversifier davantage avec la transition vers l’entreprise sociale et le développement d’une expertise plus large de design urbain. Le caractère subversif de Think Playgrounds réside véritablement au sein de sa structure organisationnelle. Au travers du développement de l’organisation et de la réalisation des projets, les fondateurs et les membres permanents ont formé des jeunes à penser différemment aux enjeux urbains, avec plus d’audace et de clairvoyance. Ils leur ont fourni des outils pour tenter de les résoudre par eux-mêmes, sans attendre la solution de l’administration municipale. les nombreux bénévoles apprennent à gérer un projet viable et à implanter des idées innovantes au sein du contexte politique existant : « We try to inspire the volunteers to follow us, to build playgrounds. [W]e give them more experience to change the city life » (R1). Ces changements de fond, où des réflexes sociaux se transforment, sont peut-être la promesse d’un renouveau dans l’aménagement et la qualité de vie des villes du Vietnam. En bref, par la construction de terrains de jeu, le manque d’attention des planificateurs de Hanoi est mis en lumière et l’analyse du citoyen est validée. Par une méthode jusqu’alors absente dans la capitale, Think Playgrounds fait le pont entre la négociation coutumière et la décision politique. Ainsi s’ouvre un canal de communication bilatéral auparavant inexistant. Dans les mots d’un architecte local: « Bottom up, it is the most important » (R6). Dans ce cas-ci, la base s’organise, agit et publicise ses actions, en étant alerte de la portée politique de ses gestes. Ce cas d’étude a permis de découvrir cette place particulière qu’occupe Think Playgrounds comme figure de proue de l’urbanisme DIY à Hanoi, et au Vietnam. Cette forme d’urbanisme est un mouvement international certes, mais elle demande une adaptation particulièrement clairvoyante dans un système non-démocratique. L’attention portée au discours, la création patiente de relations personnelles au sein des structures gouvernementales, la présence active sur les réseaux sociaux ou l’inclusion d’étudiants bénévoles sont autant de tactiques qui permettent de naviguer un contexte aux contraintes fortes. Ce succès de l’organisation laisse maintenant espérer que la formule sera reprise, qu’elle permettra d’ouvrir une discussion publique et franche sur d’autres enjeux urbains. Batley, R. (1993). Political control of urban planning and management. Managing fast growing cities. New approaches to urban planning and management in the developing world, edited by Nick Devas and Carole Rakodi. Harlow, England, Longman Scientific and Technical, 176-206. Corsaro, W.A. (1998). Play and Games in the Peer Cultures of Preschool and Preadolescent Children An Interpretative Approach. Childhood. 377-402 DOI: 10.1177/0907568298005004003. Geertman, S. Labbé, D. Boudreau, J.-A. and Olivier Jacques (2016). Youth-Driven Tactics of Public Space Appropriation in Hanoi: The Case of Skateboarding and Parkour. Pacific Affairs. 89(3) 591-611. Iveson, K. (2013). Cities within the City: Do-It-Yourself Urbanism and the Right to the City. International Journal of Urban and Regional Research. 37(3) 941-56. DOI:10.1111/1468-2427.12053. Jutras, S. (2003). Allez jouer dehors! Contributions de l’environnement urbain au développement et au bien-être des enfants. Canadian Psychology/Psychologie canadienne. 44(3) 257-266. Koh, D.W.H. (2006). Wards of Hanoi. Institute of South East Asian Studies : Singapore. 316p. Kurfüst, S. (2011). Redefining Public Space in Hanoi: Places, Practices and Meaning. Dissertation for attaining a doctorate in Southeast Asian Studies – submitted to the Faculty of Arts and Humanities University of Passau. 184p. Jules Laurent-Allard est étudiant au programme de maîtrise en urbanisme de l’Université de Montréal. Workshop participants. Photo by Philip Kelly. At the recent AAS (Association for Asian Studies) conference in Toronto, a group of Southeast Asianists gathered to discuss how research is conducted and used at the interface of activism and academia. The event was supported by the Southeast Asia Council of AAS, and was organized by the York Centre for Asian Research (YCAR) at York University. Southeast Asia presents a diverse set of political and institutional contexts in which research is done, and varying ways in which academics become involved in activist work that seeks to further political rights, social justice and environmental protection. The purpose of the workshop was to explore this diversity across the region, and to ask critical questions about the interface between the distinct but overlapping roles of academic researcher and political activist. Presenters with experience across the region attended the workshop. Laura Schoenberger (York) recounted how field experience in Cambodia revealed the impossibility of maintaining a distinction between the categories of researcher and activist, while Cheran Rudhramoorthy (Windsor) described a project in Myanmar and Aceh that explicitly developed a notion of praxis in developing post-conflict governance structures. In Thailand, Peter Vandergeest (York) discussed work with Melissa Marschke and Olivia Tran (Ottawa) that problematized the “slavery” narrative used by activist organizations in relation the fishery sector, while Austin Silvan (York) described his time with student activists in Bangkok. The issue of academic and activist narrative in conflict also arose in the Philippines through Alex Felipe’s (York) work on small scale mining in Mindanao. Several presenters described the personal commitments, relationships and risks associated with their activist work, including Arianto Sangadji (York) in Indonesia, Chaya Go (York) in the Philippines, and Johan Saravanamuttu (NTU, Singapore) and Maznah Mohamad (NUS, Singapore) in Malaysia. In Vietnam, Jason Morris-Jung (SIM, Singapore) and Nga Dao (York) both examined the role of academic experts in mobilizing changes in public attitudes and government policy, while Elisabeth Kramer (Sydney, Australia) explored similar themes in relation to academic involvement in Indonesia’s anti-death penalty alliance. The sessions at the workshop were chaired by Dominique Caouette (Montréal), Philip Kelly (York) and Ethel Tungohan (York). Other contributors to the discussion included Lynne Milgram (OCADU) and York graduate students Chris Chanco, Sheila Htoo and Conely de Leon. Several key themes emerged across many of the papers. First, the ways in which the societal position and role of experts, intellectuals and academics is configured is distinctive across different national settings, given varied political and institutional circumstances. In some cases the categories of academic and activist are hard to differentiate. Second, negotiating a role that encompasses academic research and activist engagement is an embodied process. Positionalities matter a great deal, and the process of engagements is driven by relationships, reciprocities and responsibilities arising in field-based research. For some, the process of engagement can be deeply personal and can also involve risks to safety and career advancement. Finally, many tensions exist in navigating these two spheres – between academic “accuracy” and activist “narratives” and between different agendas and audiences. Proceedings from the workshop will, we hope, appear in a forthcoming issue of Critical Asian Studies. Dr. Phillip Kelly is the Director of York Centre for Asian Research and Professor in the Department of Geography at York University. As China has developed its economy and its navy, it has moved to occupy islands, reefs, rocks and underwater formations in the South China Sea (hereafter “The Sea”), and in 2013-2015 built up seven large artificial islands. China’s rhetoric has been that these are its sacred core territories and their ownership is “indisputable,” even though as late as the 1940s they were still relying on European maps and had no idea if a claimed place was an island, a rock or a reef. The infamous “nine-dash line” is kept purposely vague and indefinite and has no legal value whatsoever, but Chinese sovereignty is claimed to be absolute. Now China has claimed roughly 85-90 per cent of The Sea, regardless of other countries’ 200-nautical-mile Exclusive Economic Zones. China’s ambitions are much larger than The Sea, but it needs this maritime area on its coast to begin. In this struggle, mainly against the US, ASEAN is simply collateral damage. Let’s begin with a contrasting set of maps showing the outline of ASEAN as it was before the year 2015 (Fig. 1), and what it looks like now (Fig. 2). Left: Figure 1*. ASEAN outline before 2015: four states bordering China: Myanmar, Laos, Vietnam, Philippines. Right: Figure 2*. ASEAN outline after 2015: seven states border-ing China: Myanmar, Laos, Vietnam, Philippines, Brunei, Malaysia, Indonesia. Maps drawn by Jim Placzek. China has an aversion to international organizations, as most are heavily influenced by the US. The system of world organization it favours appears to be a feudal world where big countries have rights over small ones. They did sign the DoC, “Declaration on Conduct of Parties in The South China Sea” which includes recourse to the Tribunal of UNCLOS, the UN Convention on the Law of the Sea. However this non-binding MOU has never been ratified although ASEAN has expended 15 years on revisions, drafts, guidelines and other compromises. Thus it is clear that China has had no intention of signing a binding CoC (“Code of Conduct”) document. Currently ASEAN and China are discussing a CoC “framework” (Xinhua). If they ratify it, it will legitimize the Chinese expansion and for ASEAN perhaps save face. Over half the world’s oil and gas tonnage passes through The Sea, including China’s own oil imports. But once China secures control of the Sea, other states will be liable to blockade whenever China is “displeased.” China has a clear track record of using established trade agreements to create political pressure (Hayton 2012; Vanderklippe). The result is that ASEAN reverts to its original situation in the 1960s, dealing with overbearing external powers who will never fully respect them unless they act as a single region, with one voice. Arase (2015) argues that the fierce Chinese rejection of ASEAN and international arbitration, plus the insistence on bilateral “negotiations” are aimed at joint management agreements, which China can then cite as evidence that the ASEAN claimant has given up its legal rights in the disputed areas. Chinese claims are absolute, insistent, and relentless, designed to wear down resistance. The Philippines’ chief negotiator with China notes that “negotiations” always begin with China’s assertion that its claim is “indisputable” (Bensurto). There is also evidence that China induced Cambodia to prevent the traditional Final Communique at the 2012 ASEAN Foreign Minister’s Meeting in Phnom Penh. Such a failure was unprecedented in ASEAN. Cambodia was the rotating chair and passed proposed wording to the Chinese, who refused it (Thayer, p.6, 7). Citing ASEAN’s own much-abused maxim of “non-interference in the internal matters of member states,” China will not tolerate ASEAN full meetings dealing with The Sea. Since China has declared that ASEAN has no role in The Sea dispute, the only option for claimants is “negotiation” with the indisputable. This tactic is part of China’s successful “Dual Strategy,” in which attractive infrastructure offers, gifts and loan projects must be rigidly separated from the maritime disputes. Considering all these points it is clear that China’s strategy is to divide the ASEAN states. As well, the “internal affairs” argument is clearly wrong. China’s claims also include the legal maritime territories of Malaysia, Brunei and Indonesia. This includes half of ASEAN’s nations, more than half its territory, and more than half its population. Clearly this is not an “internal” issue, by any stretch of the imagination. How realistic is it to urge ASEAN to work for a unified front, when ASEAN has no real authority, no military, and the members have no unity? The other option is for ASEAN to do nothing. Each member makes its own arrangement to fit into China’s New World Order, and so far this has been the ASEAN practice. To be fair, ASEAN practice is to work for consensus. If there is no consensus inaction is the result. However, doing nothing might not be as easy as it has been in the past. ASEAN officials have been “in the driver’s seat,” working for decades as equals with East Asia and world powers. More generally, with decades of peace and development, all ASEAN nations now have higher expectations. The next generation are aware of other options. In the current state of globalization the major changes have already happened. China’s “natural hegemony” scenario will roll back decades of development in international law and dispute settlement. How can ASEAN work for unity? Social pressure can be applied to Cambodia to take a longer, wider view. Wider than the traditional game of playing off major powers against each other. The master of that game was Hun Sen’s predecessor Sihanouk. This only led to Pol Pot and the horrors of that period. The current Cambodian leader Hun Sen is playing the same game at an extreme level, and appears to be the model for Philippine president Duterte, who has cut many ties with the US in order to start the money and gifts flowing from China. But this game ultimately benefits the great powers, as history shows. It definitely delays ASEAN unity. Myanmar and Laos have both had unhappy experiences in getting too close to China. They know the perils by now. Singapore, a model for ASEAN members, has also spoken out about the dangers of The Sea conflicts. continuing rapid development of an ASEAN identity. The power of identity equals the power of nationalism. Many economic and political barriers to unity will disappear with a strong ASEAN identity. occasionally, new programs have allowed gradual entry, and supermajority (70%+) voting has been used. Consensus remains the ideal, but is not the only option for decision-making. The current government of China seems determined to achieve its goals at any cost. It is costing dearly in terms of international trust. And it is directly contributing to the reform and consolidation of ASEAN. *Note: The maps in this article have been adapted from a source whose ownership we are unable to identify. We thank the contribution of this source, and would appreciate info leading to its identification. We will request permission from the original source should the current issue be re-published. Arase, D. 2015. “Strategic Rivalry in the South China Sea: How Can Southeast Asian Claimant States Shape a Beneficial Outcome?” ISEAS Perspectives No. 57. Singapore. Hayton, B. 2012. The South China Sea: The Struggle for Power in Asia. Yale UP. Surin P. 2016. In “Views from the Secretaries-General,” ASEAN Focus. Singapore: ISEAS Yusof Ishak Institute, p. 16. Vanderklippe, N. 2016. “China’s bad image hinders efforts to get world to speak its language,” Globe and Mail, Toronto. 8 July 2016. Pp. 1, 12. Dr. Jim Placzek is an honorary associate at the Centre for Southeast Asia Research, Institute of Asian Research, at the University of British Columbia and currently teaches at Pridi Banomyong International College, Thammasat University, in Bangkok, Thailand. 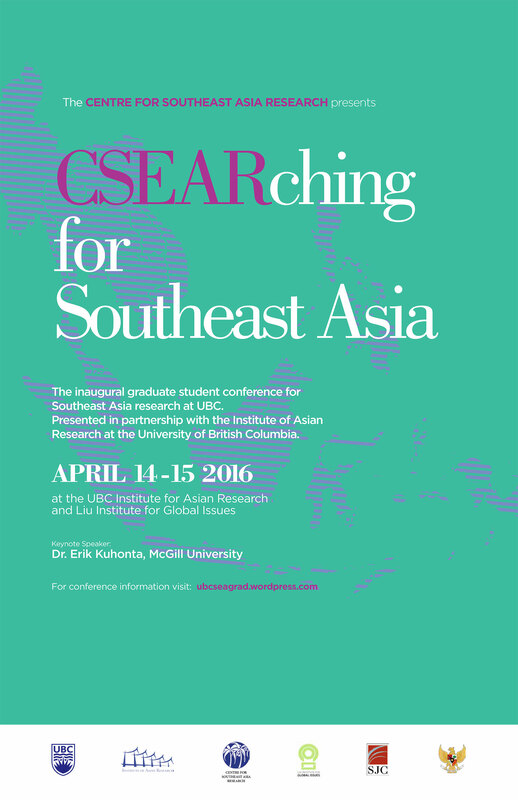 The UBC Southeast Asia Graduate Student Network held an interdisciplinary graduate student conference on Southeast Asia from April 14 to 15, 2016 at the University of British Columbia (UBC) in Vancouver, Canada. Held in collaboration with the UBC Centre for Southeast Asian Research (CSEAR) in the UBC Institute of Asian Research (IAR), the conference was the first of its kind at UBC. Minutes before the keynote presentation. Photo by Kenneth Yap. Special thanks to our sponsors for their generous support: IAR, CSEAR, Liu Institute for Global Issues, St. John’s College, Consulate General of the Republic of Indonesia in Vancouver, and Consulate General of Malaysia in Vancouver. Everyone on the last day. Photo by Kenneth Yap. The UBC Southeast Asia Graduate Student Network is a collective of UBC graduate students from different academic disciplines who are passionate about Southeast Asia. The network is based at the UBC Centre for Southeast Asia Research (CSEAR), and its activities including academic and social events are held in collaboration with the Institute of Asian Research (IAR). You can contact them at csear.grad@gmail.com. Let me be frank. As a first-generation Canadian, like many Canadian-born millennials with immigrant parents, I’ve spent my childhood, teens and twenties identifying with the cultures of my parents’ backgrounds but knowing little about them. I’d proudly identify myself by proclaiming “I’m Dutch-Indonesian, Scottish-English” – I had the rendang and yellow rice, a small amount of the Dutch language, and the family tartan to prove it. Why did my Oma and Opa leave Indonesia? I had no idea. I was lucky to be born Canadian, I was told. It wouldn’t be safe to live in Indonesia. They didn’t like to talk about it. To me, it seemed silly to leave a literal tropical paradise for sprawling, untamed farm land in Maple Ridge, BC. Their migration was always mired in mystery, and they exhibited behaviours I only came to understand through research with the Canada Indonesia Diaspora Society’s (CIDS) LANSIA oral history project. CIDS is a relatively new community group based in Metro Vancouver that has been working towards making a positive contribution to the economic, social and cultural life of the Indonesian-Canadian community in Metro Vancouver and beyond. Vancouver is a home to a large Asian diaspora, including the Chinese, Japanese, Korean, Vietnamese, and Filipino. The Vancouver culture contains many references to and elements of the Asian communities but the Indonesian community here has long felt that their stories of migration have not been told yet. Furthermore, while thinking about our roles in the community, we have realized the importance of understanding how our past shapes us and what has brought us here. This is especially illuminating for first-generation kids like me, who aren’t really sure about the backgrounds they’re identifying with. Encouraged by initial planning and consultation meetings with members of the Indonesian community, oral historians Ayu Ratih and Naomi Kawamura, as well as Dr. Abidin Kusno who was a faculty member at UBC at the time, CIDS launched the LANSIA (short for lanjut usia, meaning elders in Bahasa Indonesia) Oral History project in May 2016. The project was partly funded by the Government of Canada’s New Horizons for Seniors program and benefited from the support from project partners and dozens of volunteers who understood the importance of the project and shared their talent and energy generously. As part of the project, CIDS has held a number of community events to get to know them better and to provide an opportunity for them to talk about their needs in the community. Seven interviewers spoke to 25 seniors who have shared their stories of migration for the project. In addition, New Westminster Museum has made available the story of two community members, which added to the richness of the stories gathered. The interviewees’ background was diverse reflecting the country they were born, Indonesia. Our seniors included Dutch-Indonesians, Chinese-Indonesians, and pribumi who moved to Canada directly from Indonesia, via other European countries or other Canadian cities. Some were still actively working in their field, while some have retired. Their occupations ranged from research scientists, homemakers, and university professors to labourers, business people and school teachers. We learned about their struggles to get to Canada, joy of living here in Vancouver, life full with growing families, and spouses and friends who have gone before them. We heard some stories with laughter and some through tears. People who were previously silent about their often-traumatic migration journeys from decades ago opened up and bravely faced their post-traumatic stress to share their story. Their willingness to relive their history and heal, in turn, helped the later generations find empathy for their parents and grandparents. In one situation, I was witness to a grandson interviewing his Indonesian-born grandparents, and listening with incredulity as their voices warbled with emotion. “Thank you for surviving that so I could be born here,” he told his Oma. It’s in those moments we saw the purpose of the project: to connect older generations with current ones, to make room for mutual understanding, and ultimately, collect a part of history before it’s lost. The interviews recorded were more than 60 hours in length, and through the agonizing process of putting together the final exhibition, the project team created seven banners to highlight the major themes that emerged from the stories: Exodus, Survival, and ultimately, Success and Growth. As we look at the beautifully designed banners standing together, we feel they represent a space and a starting point for the community to take our stories further, rather than a complete representation of everyone’s experience and an authority over the narrative. We were delighted that the 14 Interviewees who attended the final celebration and exhibition on March 25, 2017 – many brought their families and friends to see the exhibition – agreed with us on that point. CIDS considers LANSIA to be one of its first major projects that serves as our springboard as we look to the future in shaping the directions of the organization. We are proud that LANSIA project was initiated by the community that wanted to tell their own stories. LANSIA project has made us aware of the diversity within our own community and allowed us bring to light the stories of our seniors that are often forgotten in the history of Canada. The exhibition was shown again during Vancouver Asian Heritage Month in May at Lipont Place in Richmond, BC. The official kick off for Vancouver Asian Heritage Month Society took place on Saturday, April 22 at SFU Goldcorp in Vancouver. The project was funded in part by Government of Canada, New Horizons for Seniors Program. CIDS is grateful for the project partners: Pacific Canada Heritage Centre – Museum of Migration Society, Centre for Southeast Asia Research at the University of British Columbia, and explorASIAN – Vancouver Asian Heritage Month Society. The final exhibition was generously sponsored by the Consulate General of the Republic of Indonesia in Vancouver and designed by Nicomartine. For more information about LANSIA project, contact us at info@cids2015.org. Kristi Alexandra is a CIDS Board Member and a writer for Loose Lips Magazine and Curious Copy. These reminiscences are as experienced by a pair of long-committed CCSEAS participants: I am writing also on behalf of my recently deceased and sorely missed spouse, Shuichi. We were deeply and happily in this together. Our first exposure to Asian studies in Canada was in 1973, immediately following our return from Malaysia, where we had just spent three rich and rewarding years of lecturing at the University of Penang (now Universiti Sains Malaysia), and engaging in anthropological field research. While Shuichi resumed in this new regional context earlier interests in indigenous populations (Orang Asli), I launched myself into Malay-Muslim society. I was occupied by issues of ethnicity, religious identity and heritage, and began a long and still continuing journey following developments in Malaysian and Indonesian Islam. During that period we first met Rodolphe de Koninck and his wife, Helene, who happened to be in Penang, engaged in research of their own at the time. We found university colleagues in common, and enjoyed after-hours fraternising in Penang’s night markets (pasar malam) together. We were to meet again in Canada, and cement our relationship as CCSEAS evolved, when Rodolphe became central to the “pole quebecois” and indeed of the entire association (as well as a life-long friend). 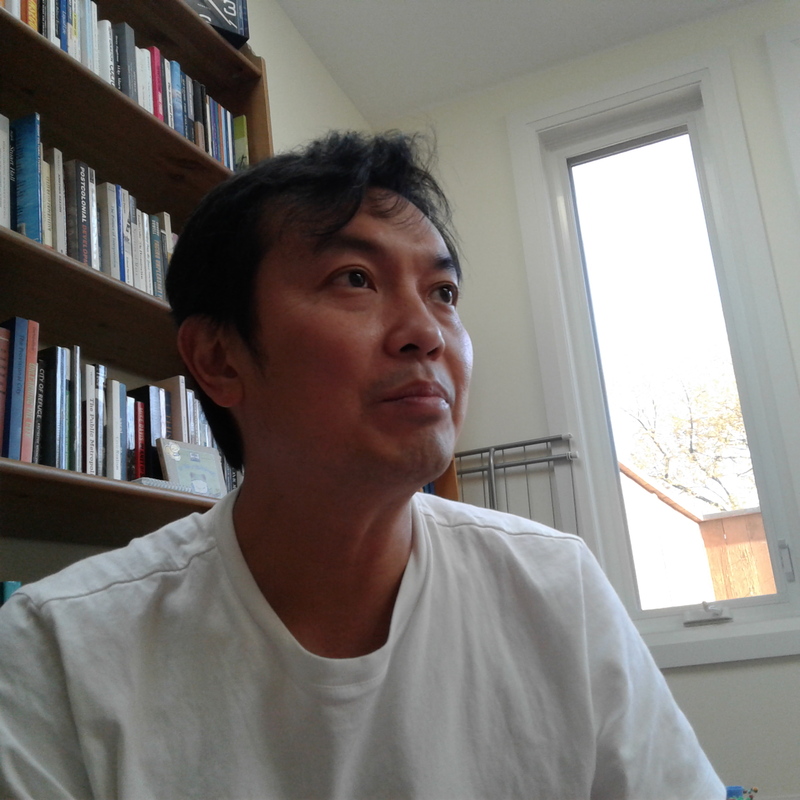 For Shuichi and me, the experience of our first professional conference on Asian studies in Canada was at a CASA (Canadian Asian Studies Association) meeting at McMaster University in 1973, our first conference following our return from Malaysia. At that point, we knew little about Asian studies or scholars in Canada, and it turned out to be something of a baptism by fire. The conference was memorable as much for the undercurrent of academic local politics and turf than the papers presented. At this time, looking back, it seems the would-be movers and shakers in Asian research were just beginning to sort themselves out into sub-regional allegiances, and jockeying for leadership and funding within the shared CASA orbit. We were instantly corralled Prof. Gordon Means of McMaster University, whose background was in mission studies in Malaysia and Sumatra and who clearly envisaged shaping a new Southeast Asian focus independent of CASA, while another cluster surrounded David Wurfel, whose work focused on agrarian politics in the Philippines and Vietnam. Even before Shuichi and I understood the emerging history and traditions of CASA, we were sternly “advised” by Gordon to declare our identity and ensure we put our Southeast Asian affiliation first, even upbraiding us for having presumed to present papers on Malaysia at a CASA meeting. That was our introduction to an organisation which in some respects resembled Canada itself: a federal umbrella presiding over regional satellites, all competing for the common pot. CASA had ultimate control over the resources of itself and its three sub-groups: Canadian Associations of South, Southeast and East Asian Studies, under an unclear constitution by which we were all bound, while allowing us plenty of latitude to negotiate boundaries and assets. Although we were not in Canada when the preliminary framework was created, it appears that through the intervention of a bureaucrat, Charles Correa, in Ottawa, there was guaranteed financial provision and rules for all. Under the CASA secretariat, the presidency would rotate every two years between each regional organisation, along with access to the purse-strings of the budget. In a general way, this system has continued, although not without constitutional and financial challenges along the way. Academically and personally, inter-regional relations have been more cordial, and some collaborative conferences, particularly between Southeast and East Asian members have been a success. On occasion too, our conferences have been enriched by visiting scholars from Southeast Asia such as from Thailand and the Philippines Notable for their contributions were two professors from Malaysia/Singapore: Dr Johan Saravanamuttu who was official Southeast Asia Visiting Professor to Canada, based in the University of Toronto in the late 1990s, and later, Dr Maznah Mohamad, who held the post two years later. Each tirelessly traversed the country wherever requested, to generously share their expertise and local knowledge including at CCSEAS conferences. Personally, they remain connected to the present. To shore up my status as an authentic Southeast Asianist after our uncertain debut, I volunteered to hold one of the first CCSEAS conferences at York in 1976, on the theme of Development and Underdevelopment in Southeast Asia, where, among others, Singaporean foreign correspondent Chak-Yan Chang gave an address. Papers were offered by three of my own graduate students at the time, Razha Rashid from Malaysia, Joachim Voss and Vilia Jeffremovas, whose names remain among the stalwarts of CCSEAS today. We were launched. This was to be the first of four conferences to be held at York, culminating in the reunion of 2017. After that, Shuichi and I were regulars at almost all CCSEAS meetings, which at the same time enabled us to visit almost every part of Canada. Meeting circuits were largely determined by a critical mass of Southeast Asian scholars, which in effect revolved around three main poles: the west coast, Ontario and Quebec (including Montréal), but we also convened in other memorable places members might otherwise have never visited, including Wolfville, Thunder Bay, Saskatoon, Halifax, Edmonton. One enjoyably unforgettable CCSEAS gathering was hosted by the National University of Singapore in 1982, which put us firmly on the international map. And, unexpectedly, for our meeting at Acadia University, organised by Bruce Matthews (whose field covers religion and Myanmar), the CASA secretariat sponsored a visit and contributions by a team of Asian journalists, from Thailand, Hong Kong and Pakistan, whose time in Canada happened to coincide with our conference cycle. Beyond our shared focus on Southeast Asia, members bring a wide range of disciplinary perspectives—geography, political science, history, religious studies, anthropology, arts, environmental studies, journalism—to “our” area, a range which often presents a “casse-tête” to those who must design conference programmes and panels. Unquestionably, CCSEAS is distinctive and made more exciting by its large contingent of Quebecois colleagues and a commitment to bilingual membership and events. This has added immeasurably to the culture and character of the organisation, as well as enhancing its reputation for a creative mixing of scholarship with fun. On Saturday nights, the dance is de rigueur. Indeed, as I can testify, many first or closer personal introductions outside a panel have been made on the dance floor, beyond the limits of language or local politics. The Quebec cohort, has been heavily alimente by the students of De Koninck’s Laval geography programme, now into its second (third?) generation, as well as the circles around Dominique Caouette in Montreal. Many of these students are now tenured colleagues across Canada. One of our most memorable conferences was at Universite Laval in 1995, a few days preceding the planned referendum later in the month over Quebec’s future vis-à-vis le Canada. For the anglophone and allophone delegates, conversation about Southeast Asia was a particularly welcome diversion from local politics, and a sure means to manage delicate political sensibilities among friends. But the conference was a success, we profited from the company of some scholars from France, and everyone enjoyed the ambiance of Quebec City, which was happily preparing for le Hallowe’en, and of course, we danced! Meanwhile, some of our founding CCSEAS members from the west coast have remained anchors and frequent hosts of our fellowship. Terry McGee and Stephen Milne led the pack, along with their own students and followers, and with the support of the Asian Institute in Vancouver. Finally, a third and subsequent Southeast Asian pole has now developed in Ontario, focused largely on Toronto, McMaster and Ottawa, where a Southeast Asian critical mass is deeply embedded in York and the University of Toronto. Judith Nagata is Professor Emerita of York University. With our deepest condolences on the recent passing of Shuichi Nagata. The 33rd Biennial CCSEAS conference theme—’People In and Out of Place’—represents a long standing and yet often forgotten dynamic of a region known as the crossroads of different peoples, histories, cultures and politics. The conference will take place 27-28 October 2017 at York University and is hosted by the York Centre for Asian Research. For more information, visit www.ccseas.ca or email ccseas@yorku.ca. Les inscriptions sont ouvertes ! Cliquez ici pour vous inscrire. Le thème du 33e colloque biennal du CCEASE—« Personnes, appartenances et exclusions »—illustre une dynamique de longue date, mais pourtant souvent oubliée, d’une région au carrefour de peuples, histoires, cultures et systèmes politiques variés. Les activités du colloque 2017 se dérouleront du 27 au 28 octobre 2017 dans les locaux de à l’Université York. Le colloque 2017 y sera accueilli par le York Centre for Asian Research (YCAR). Pour plus d’information, visitez le site Internet du CCEASE au www.ccseas.ca. Contactez nous: ccseas@yorku.ca. CCSEAS has just launched the new website: www.ccseas.ca. Drop in for a visit and let us know what you think.